Mungo Homes, which has been in the residential construction business since 1954, is among the largest family-owned home builders in the United States. The company has built more than 12,000 homes and has earned the industry�s most coveted award for quality construction and customer satisfaction. 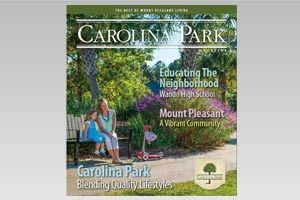 In 2008, the company, which includes Mungo Homes, Harbor Homes, Sovereign Homes, Mungo Construction, Mungo Homes of Georgia and Mungo Homes of North Carolina, became the first builder in South Carolina to claim the National Housing Quality Award. Mungo also is among the few Certified Master Builders in the Palmetto State and is ranked as the 35th largest builder in the country. Quality and customer service tell only part of the Mungo story � company leaders make it a point to give back to the communities they serve, and they encourage their employees to do the same. Many of them serve on boards and committees concerned with subjects such as education, health care and the arts, as well as with non-profit and civic organizations. Mungo Homes builds in several neighborhoods in the Columbia area, including Wren Creek, Lakeport, Springhaven, Persimmon Grove, Brookhaven, Vintner�s Wood, Hawkins Creek, Eastfair and Arbor Springs.